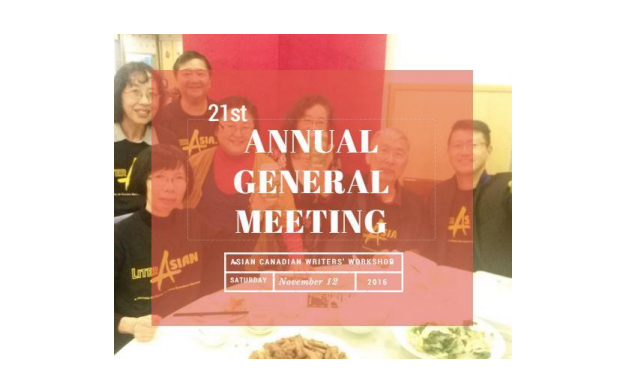 The Asian Canadian Writers’ Workshop Society (ACWW) is pleased to hold a luncheon for its 21st annual general meeting. Thai Town Restaurant (#2015 - 88 West Pender Street, Vancouver). At-the-Door (if available): $20 for non-members.